It is quite evident that the Market Research Industry is set to outgrow every other industry but still there are very few people who are professionally trained in Market Research. This is a classic example of supply not being able to meet the Demand. In other words, although there is tremendous amount of demand for Market Research Professionals, yet there are limited number of candidates who possess the relevant research skills. Research grail analyses the reason behind this situation. Certified Research Analyst (CRA) is the only market research certification in the whole world and it is offered by International Institute for Procurement and Market Research (IIPMR). This certification is globally recognized and also serves as a benchmark to ascertain the quality of candidates for many of the recruiting companies. Lack of awareness among students about Market Research Industry. 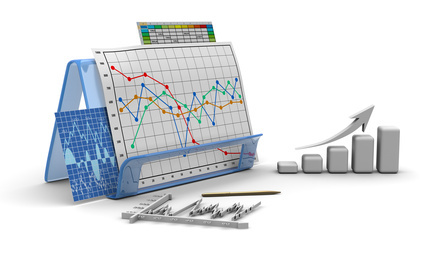 Not many know that Market Research is one of the highest paying industries. Certified Research Analyst (CRA) This is for anyone including college students, graduates or postgraduates interested to start a career in market research. Certified Research Expert (CRE) People with 1 year of relevant work experience are eligible for the second level. Certified Research Professional (CRP) Typically Team leaders, Research Managers and Senior Managers with a minimum of 3 years of relevant experience can enroll for the third level certification. All the above three Market Research Certifications offered by International Institute for Procurement and Market Research (IIPMR) are online courses that are followed by online exams. International Institute for Procurement and Market Research (IIPMR) is a global leader in Market Research Education and developer of the Certified Research Analyst (CRA) designation. This certificate is offered by MRS, a leading Research Association based out of UK. This certification is supposed to be a vocational qualification for the Research Sector. Similar to IIPMR, the Certificate in Market and Social Research Practice is also an online course that is followed by an online exam. In comparision with the CRA Certification, this certificate has a narrow focus and has only 3 modules to learn. Whereas the CRA Certifiation offered by IIPMR has over 83 modules that needs to be completed in order to be eligible for the online exam. 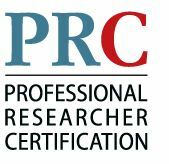 The PRC Certification is offered by Marketing Research Association based out of Washington, USA. However this certification is focused only on Marketing. It emphasizes the methods to incorporate research for marketing purposes and insights. There is no mention of what exactly are the modules that one would learn in this certification.